Whether they’re volunteering, fundraising or donating, Westpac have strongly supported Sunnyfield for many years. 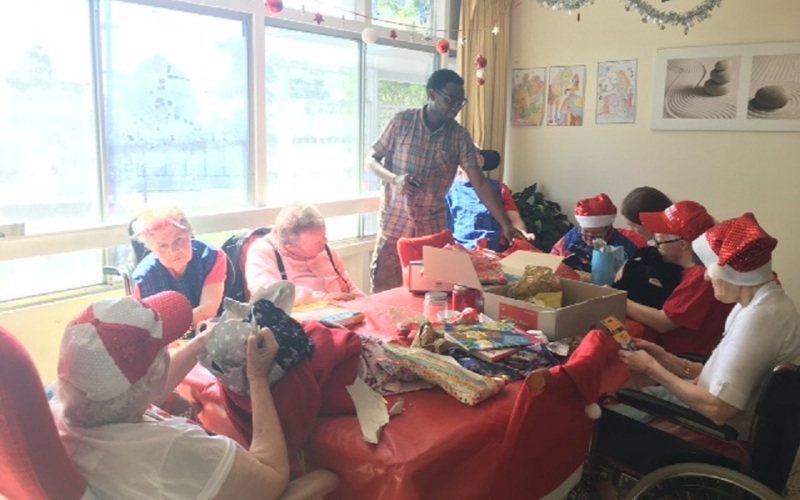 We are especially grateful for Westpac’s support at this time of year with Christmas gifts purchased for Sunnyfield clients. Recently, Westpac staff have volunteered their time to refresh homes supported by Sunnyfield all across Sydney. On top of this, Westpac have helped kit out these homes with donations such as fridges, dishwashers, microwaves, tables, chairs and more. Westpac have also provided staff to help at fundraising events in support of Sunnyfield, such as the Sunnyfield Golf Day, and showed their support for Sunnyfield at the Peninsula Pals Melbourne Cup Lunch fundraiser. Thank you Westpac for your outstanding support of Sunnyfield, we really appreciate it!